You see them every day of the week – including Shabbos and Yom Tov, and at all times of the day and night; dashing out of their homes, shops and shuls in order to perform acts of chesed (good deeds). 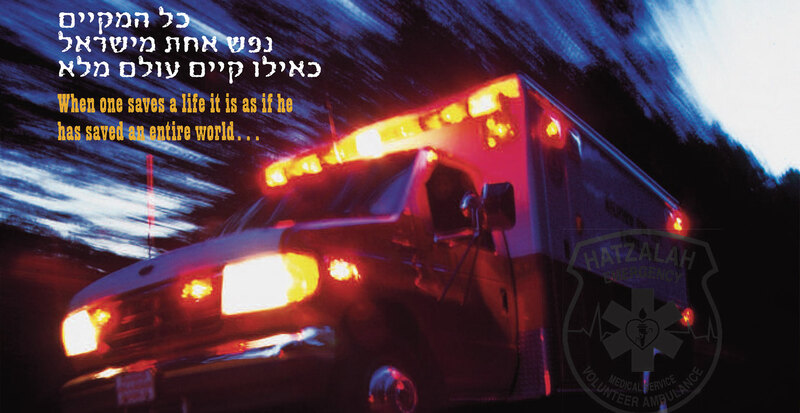 They interrupt participation in joyous family simchas (celebrations) and even when davening (praying) to Hashem (G-d) during the most serious days of the Jewish calendar (Rosh Hashana and Yom Kippur), in order to try and save the life of another human being. In many cases, they do not even know who that person is. 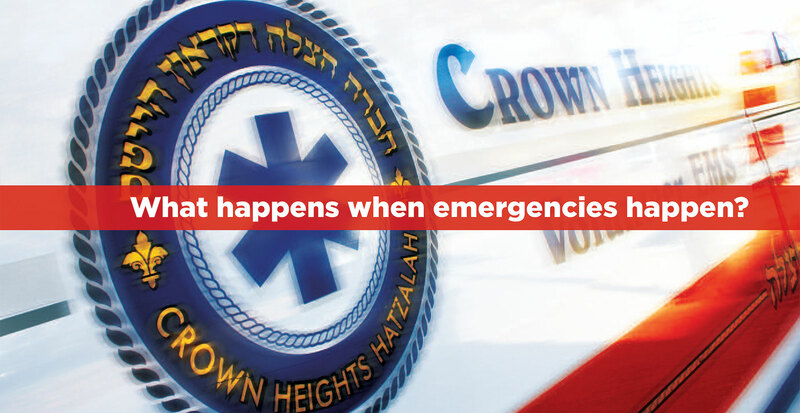 They are the selfless volunteer members of the Hatzalah of Crown Heights, who for the past thirty have responded immediately during the coldest days of the winter or the hottest days of the summer, to desperate calls for help to dozens of various types of medical emergencies. 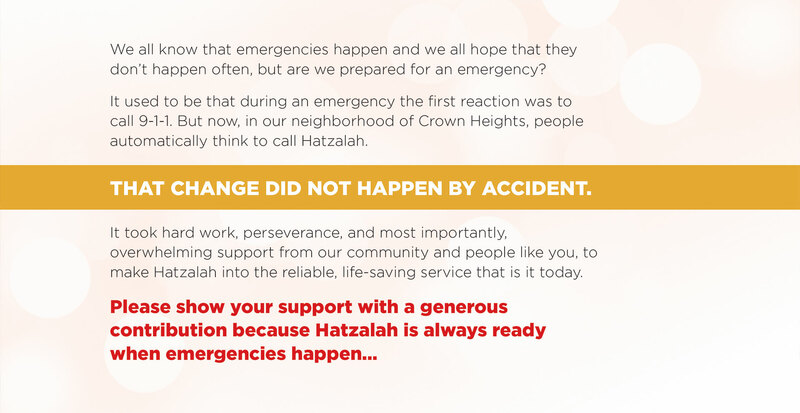 Every year, the ‘chevra’ (members) of Hatzalah of Crown Heights respond to more than 10,000 pleas for help that run the gamut of painful but non-life threatening injuries to terrifying heart attacks and strokes, in which a quick response time can mean the difference between a chance at continued life or a devastating tragedy for family members. 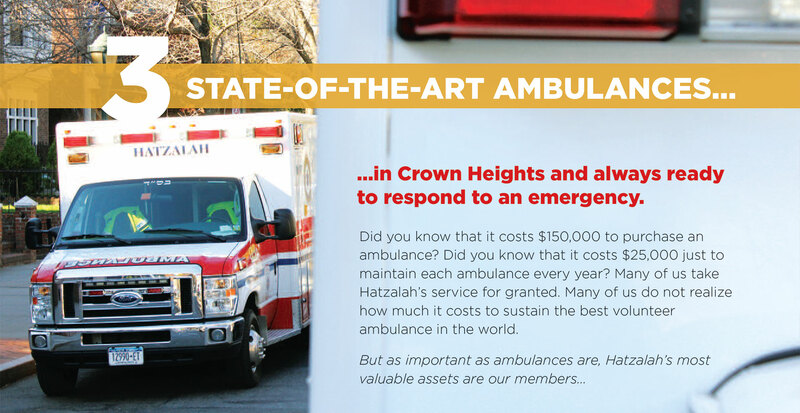 Hatzalah is currently facing an enormous financial crisis. Funding is needed to maintain all of our life-saving equipment, supplies and medication, and also to provide ongoing volunteer training. 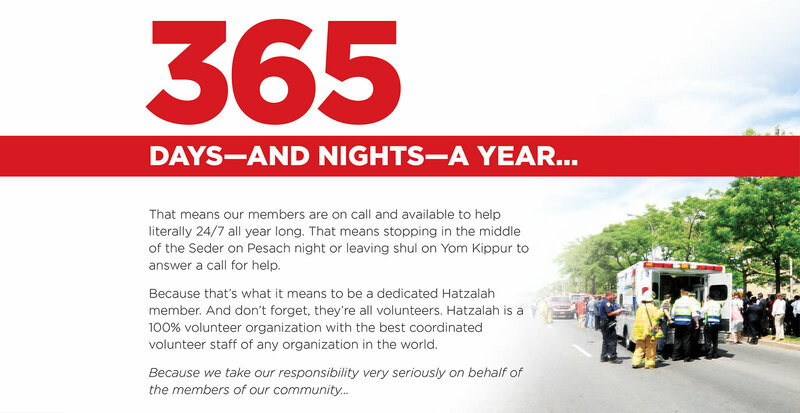 Our volunteers work tirelessly around the clock to save lives. 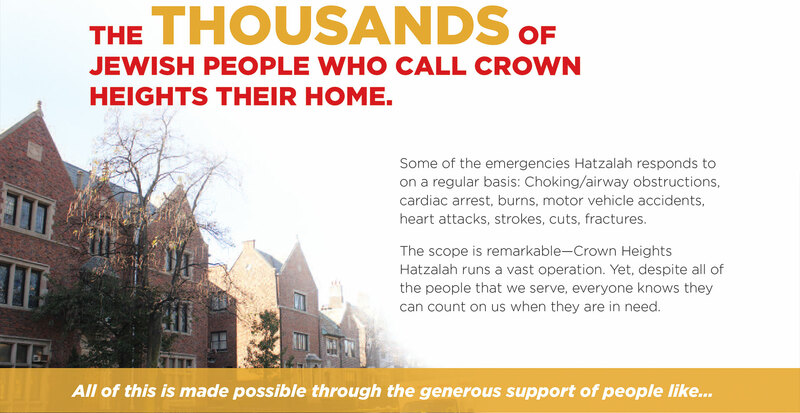 You can join them in this Mitzvah by showing your support.